I think it's great that you're having such a ball! Woot! I am so glad that everything is turning out so well. 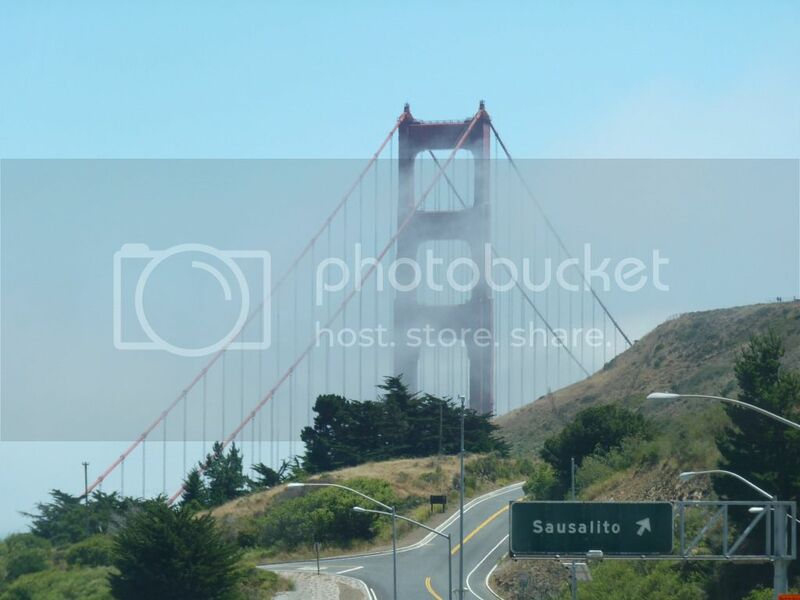 I've heard of Sausalito on TV, which is the closest I'll ever get to California LOL. Congrats on the move. I am so excited for you and I wish I were there too! We went on vacation there this year! There was so much to do! Loved it!! I'm so glad you are happy!! Glad your lovin Cali we will have to visit you when we come into town to visit Amani's lifelong friends and family. You and Damon should def check out this jazz spot called Yoshi's it's in Oakland. It's a nice spot. Also you must take Marlie to Happy Hollow it's great fun. Anywho usually come twice a year and plan to come either in Oct or Jan. I love that pic :) I haven't been to Cali in forever, but my husband is from out west so he's there more often. You're posts are making me miss California! I grew up in San Diego, but vacationed a lot in San Francisco. then we lived in the Silicon Valley for 1 1/2 years. Plus we visit frequently as my parents and various friends still live there and DH's job takes him to the Silicon Valley a lot still. My daughter will actually be in LA and San Diego next week! I get a yearning to move back every once in a while, then I remember how miserable I was when we lived in the silicon valley. I had already become a Seattlite and there is no turning back once that has happened! Welcome to California! Another place of interest is the Danish Village of Solvang; located in the heart of Santa Barbara's wine country. I look forward to hearing about where you live. Anne Lamott writes so fondly of California.